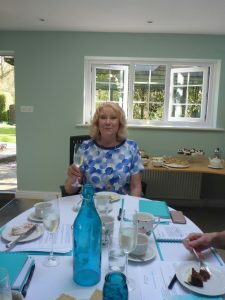 The sun shone for our Creative Writing Escapes afternoon tea and fizz workshop that Danielle and I held yesterday. 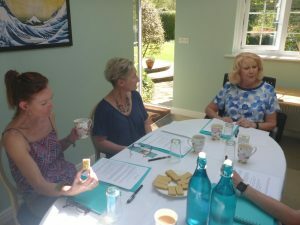 We congregated in my peaceful writing room in the garden for tea and shortbread while we introduced ourselves and discovered where we all were in our writing journeys. What can you learn from a copywriter? 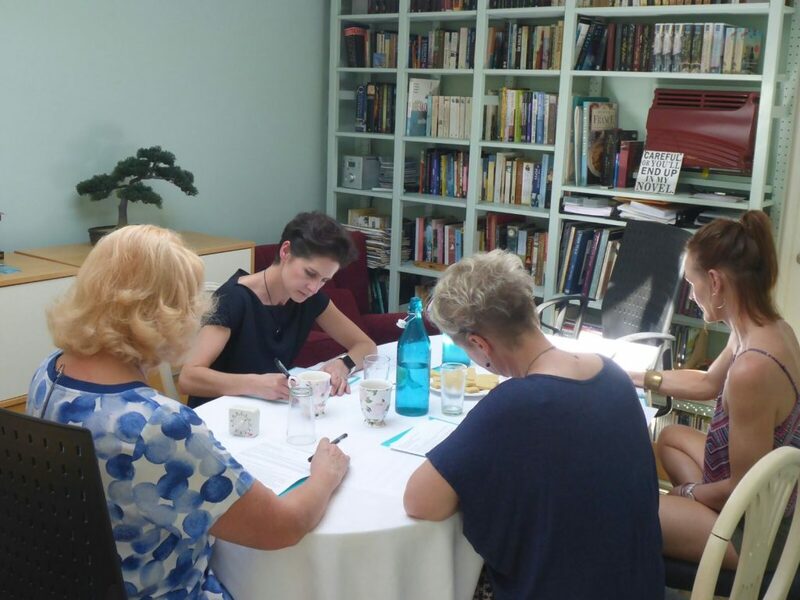 The afternoon was full of lively discussions and laughter as we explored an endless array of subjects, including: how to find an agent, self-publishing, genre – and why it matters, social media, why do you want to write, are you a plotter or a pantser, beating writer’s block and Show, don’t Tell. We enjoyed salmon sandwiches, warm scones with clotted cream, carrot cake, blueberry meringues and chocolate tiffin with two kinds of tea. 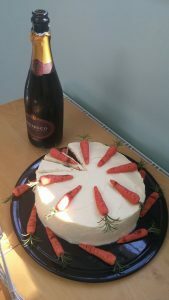 Since one of the Escapees was celebrating a birthday we cracked open a bottle of fizz. At the end of the afternoon the Escapees were full of enthusiasm to get started on writing their novels. All the Escapees went home with notebooks, pens and a folder containing a full set of notes and bonus handouts to refer to later on. Danielle and I are really looking forward to hearing about their progress! 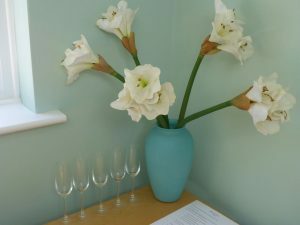 I took part in an inspiring half-day writing workshop with Charlotte and Danielle as our friendly and informative hosts. 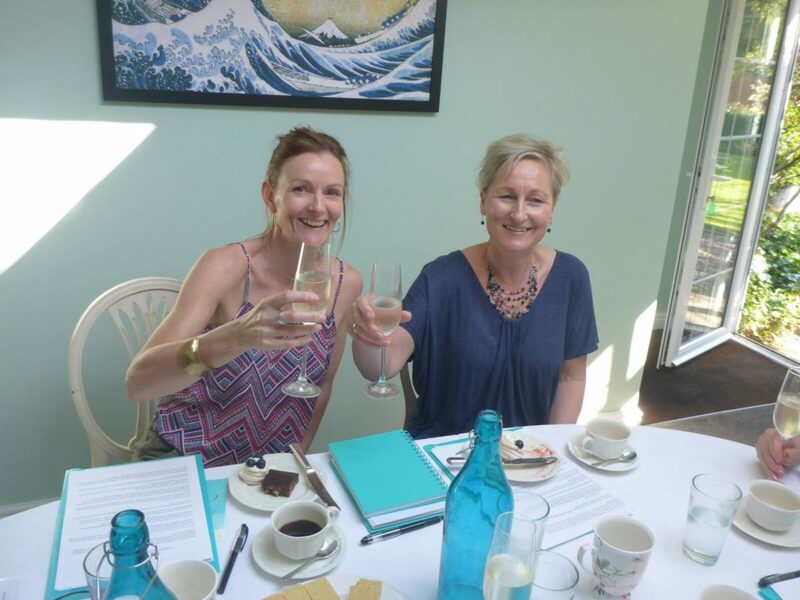 Set in a beautiful, tranquil location, we were provided with not only superb professional advice on how to get started with writing, whether that be a novel, a short story, an article or a blog, but also the best sandwiches and cake in Newbury! If you’re keen to put pen to paper and don’t know where to start, then this workshop should be your beginning. You will learn tricks of the trade from two accomplished professional writers, make new friends and leave feeling anything is possible. Thank you for a wonderful afternoon Danielle Auld and Charlotte Betts!